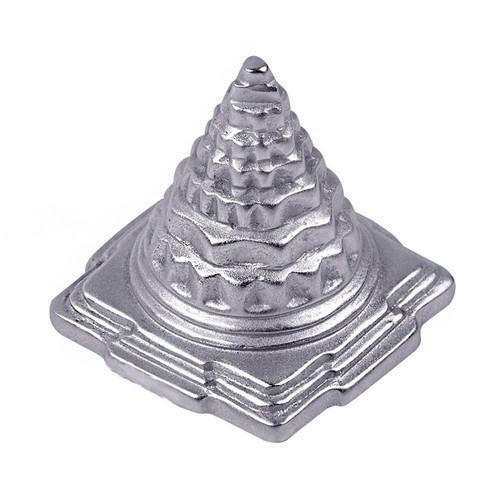 Parad Shri Yantra is one of the best yantras as it is also worshipped by deities. Our ancient classics state that, any person desirous of wealth, success and happiness in his life, should install a siddha parad Shri Yantra in his home, safe or shop. This Shri Yantra removes financial hurdles, career related problems and bestows respect and honor. This is Goddess Laxmi's yantra. It resolves tension, hindrances and difficulties. This yantra is beneficial for future generations also. Parashara Software in association with GeoVision Software Inc. USA is the world's largest Vedic Astrology software publishing company. All our products are backed by over two decades of ongoing development and research in the field of Astrology combined with the sophistication of present day technology. We have a global presence with users spread all over the world. Our softwares are widely appreciated for their calculative accuracy, user friendliness and Vedic essence. Our Astrology Software products include Parashara's Light, Vedic Vaastu, Anka Jyotish, Vedic Gems, Vedic Astrology Bookshelf, etc. Parashara's Light is now also available for Android phones and tablets. Vedic Astrology is an ancient Indian science that can reveal the past, present and future details of your life. This intricate mathematics of Vedic Astrology has been combined with modern computer technology by us. Our products are unique in that they are easy to use, yet very powerful. They are the only packages in the market that fulfill the needs of novice and professional alike with ease of use, elegance, fast speed, accuracy, and a vast variety of calculations. Most of our software products are now available in English, Hindi, Gujarati, Marathi, Bengali, Kannada, Tamil & Telugu Languages. Besides this, we are also engaged in the business of authentic Vedic Astrology Remedies & Solutions. We make available best quality astrological Gemstones and other astrological remedies like Yantras, Rudrakshas, Shaligrams, religious rosaries, Parad & Sphatika products etc. at the most reasonable prices in confluence with the directives laid down in the Vedic scriptures. We also have a Vedic Bookstore with some excellent books written by renowned authors on Astrology, Vaastu, Hindu Mythology etc. Under the able guidance and leadership of our Director “Mr. Prashant Malpani” we are striving every day to offer best quality products and services to our clients.